The Bell Jar Series features naked girls encased in bell jars, seemingly “collected” as object d’arte, each adorning a head or mask of an endangered animal. This can be interpreted as a commentary on collection, the endangerment of species, and what that means to us humans, as a species ourselves. 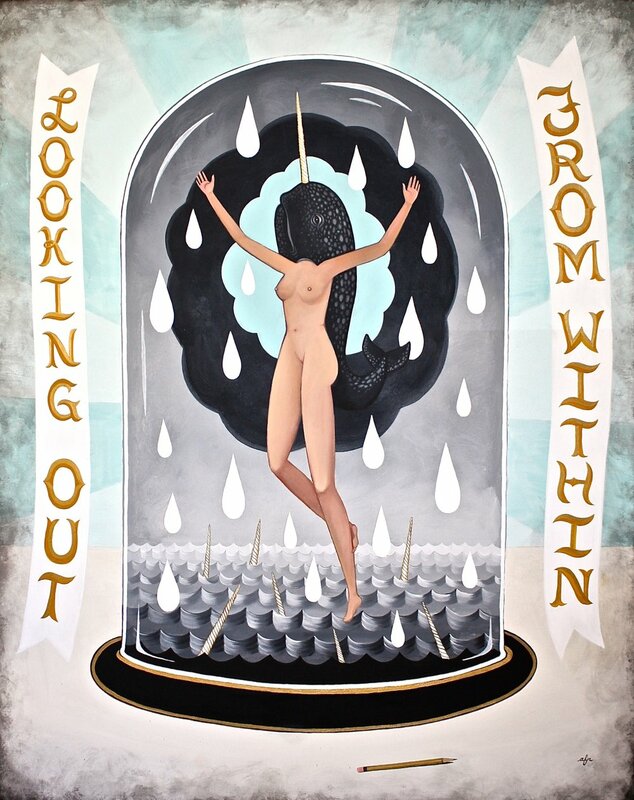 Looking Out From Within refers to looking inward and examining one’s self and our relationships to our environments. It also can be interpreted as a narrative of a private life lived under the public microscope.